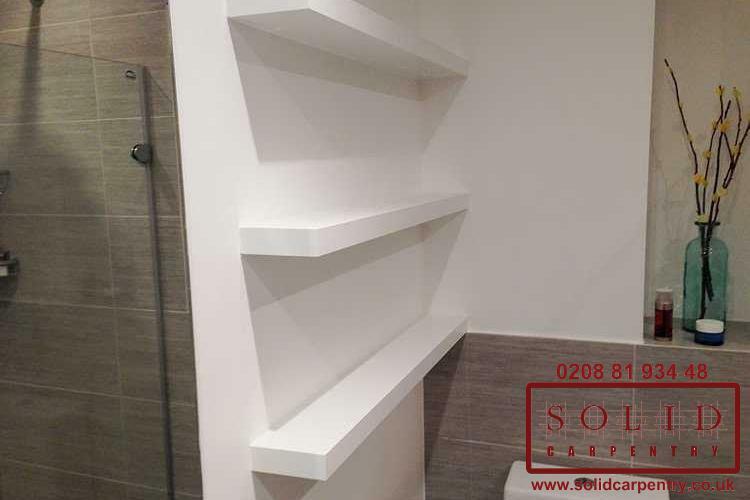 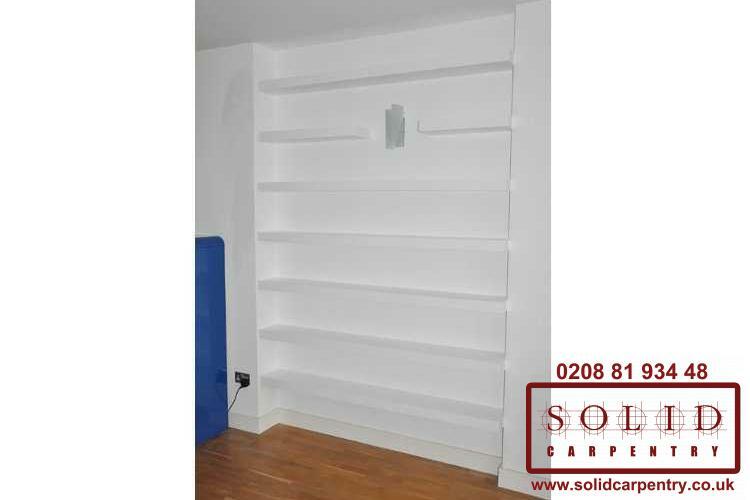 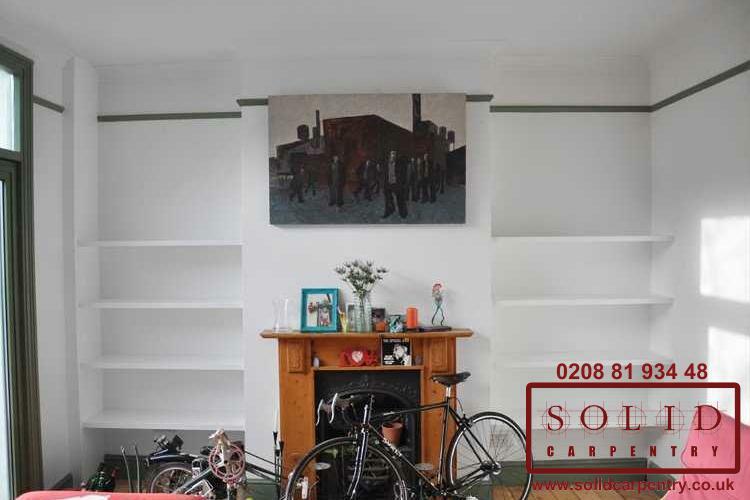 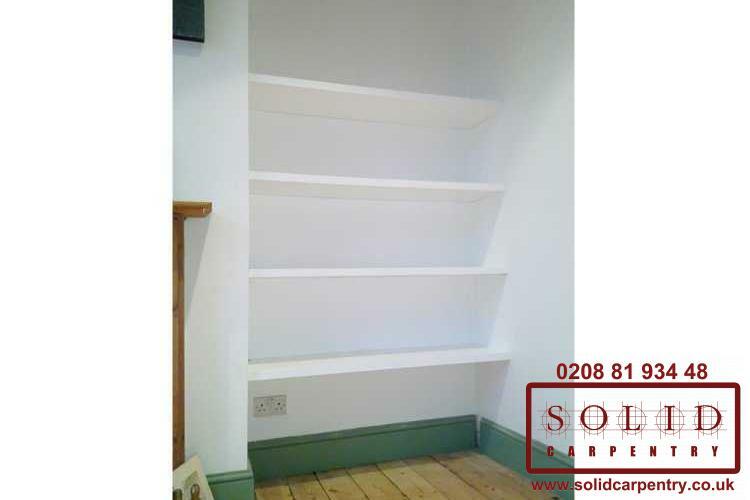 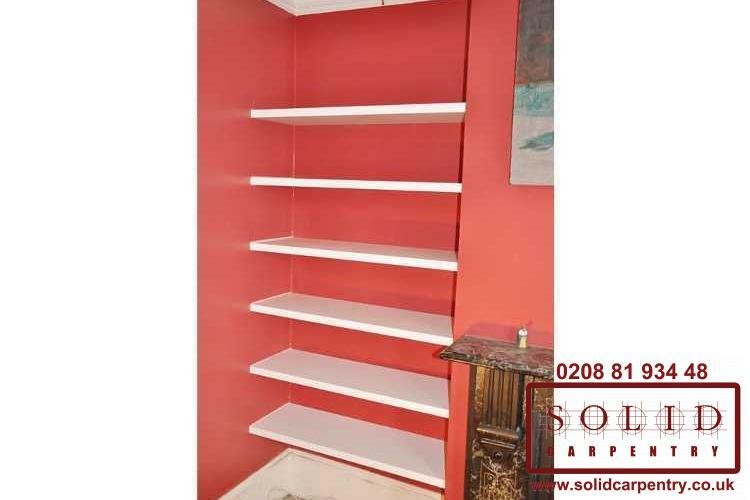 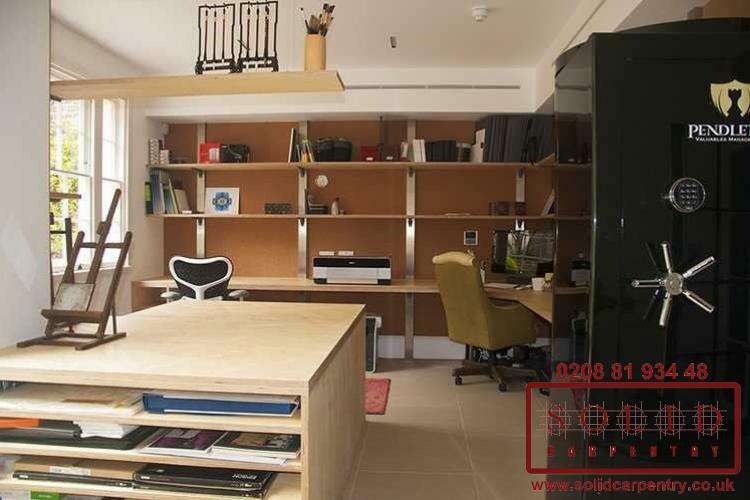 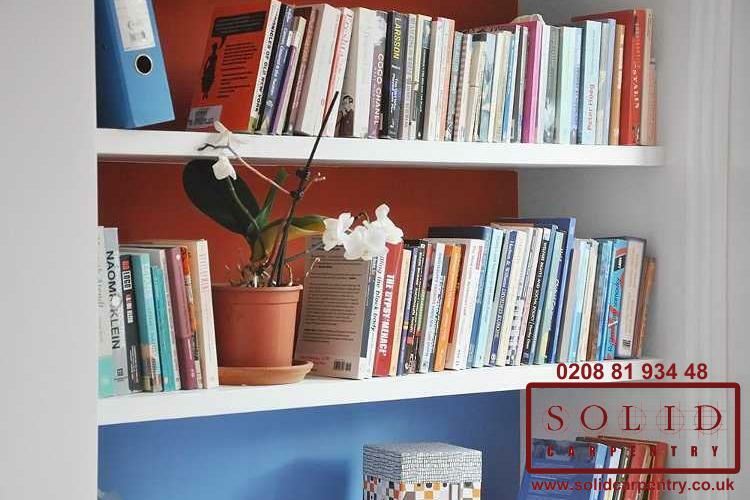 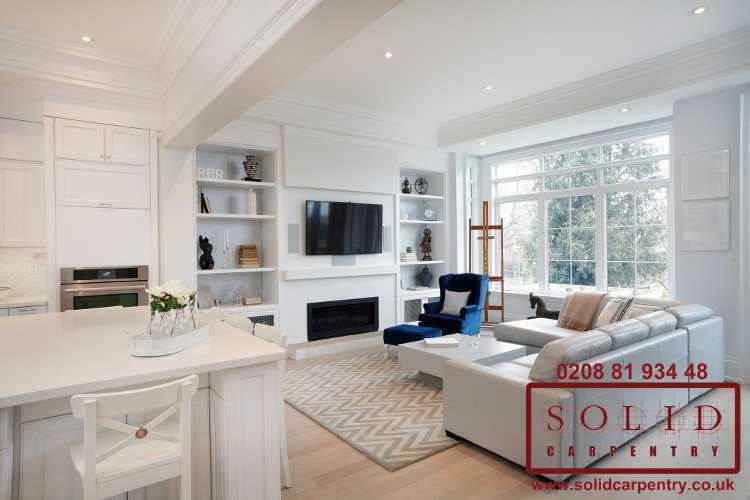 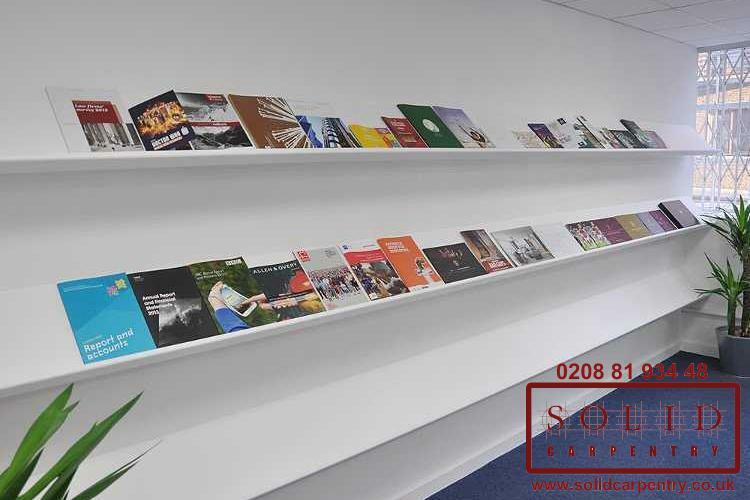 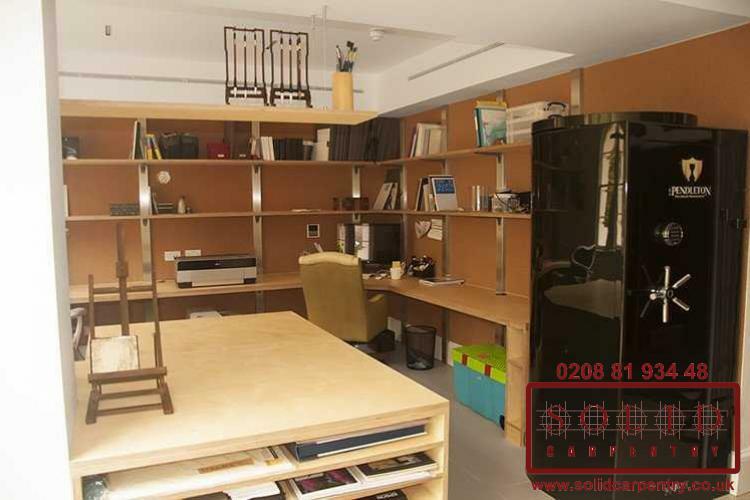 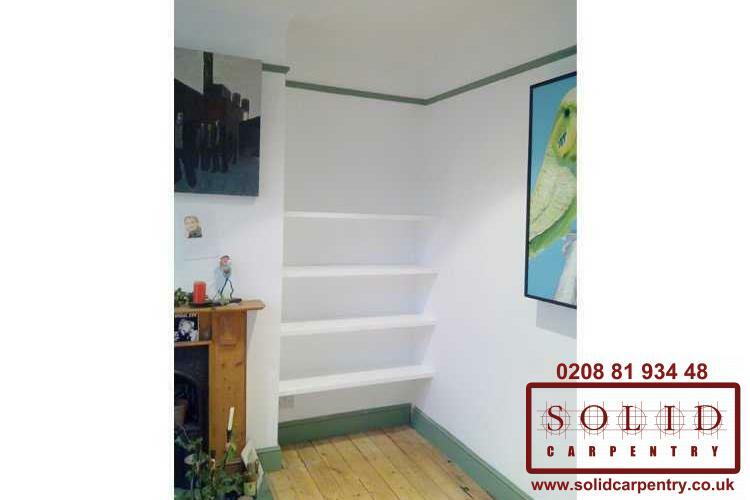 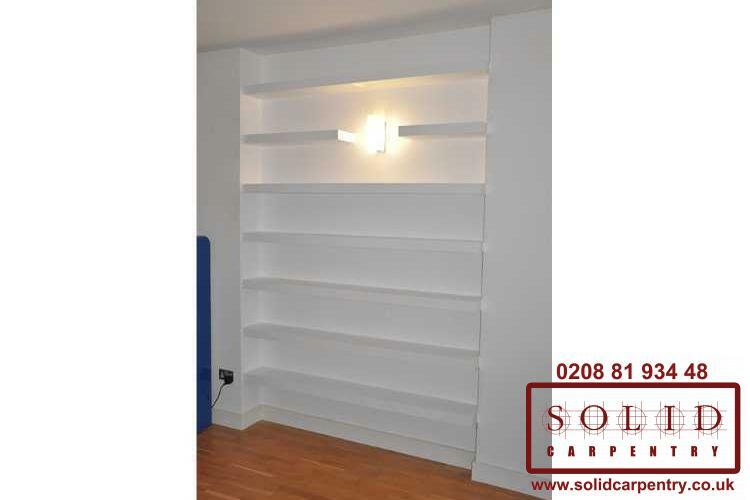 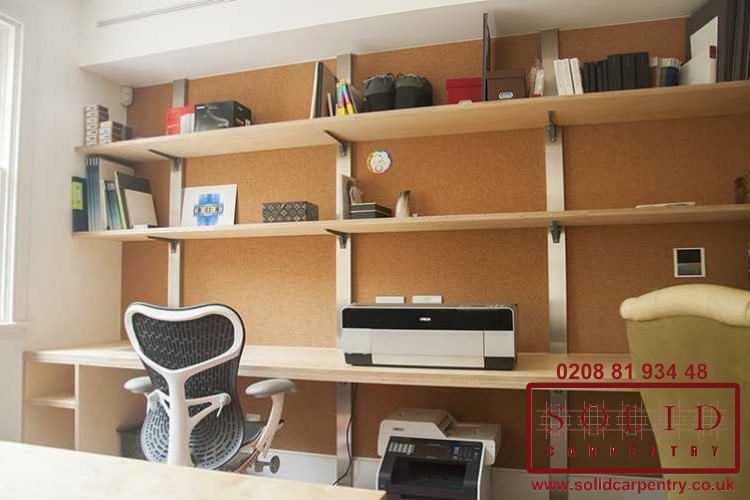 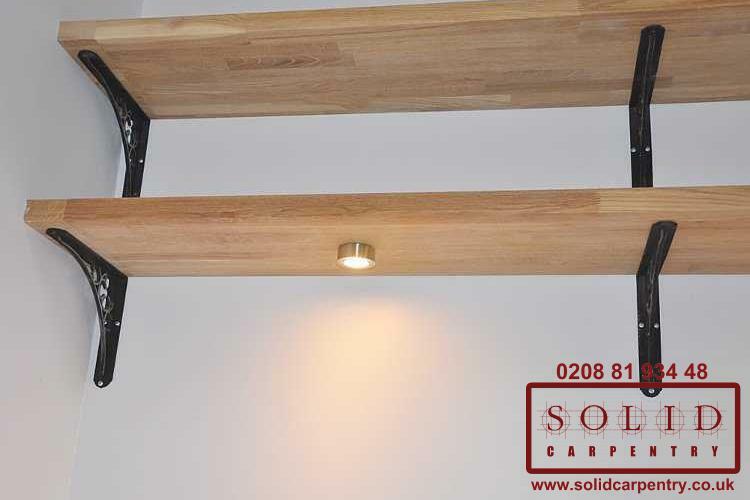 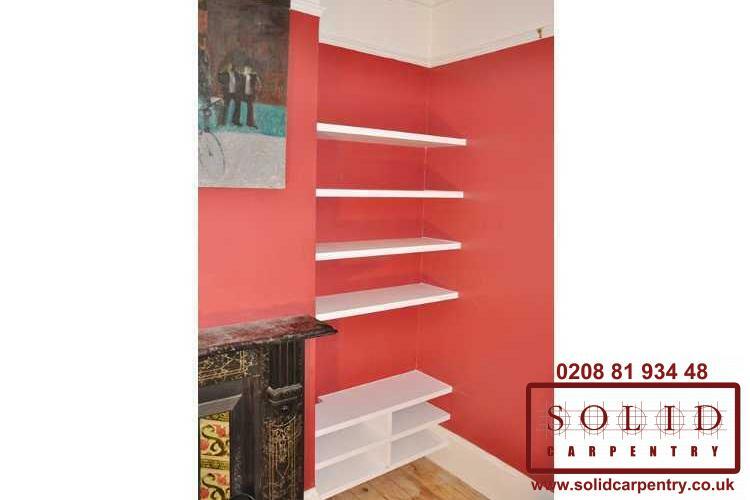 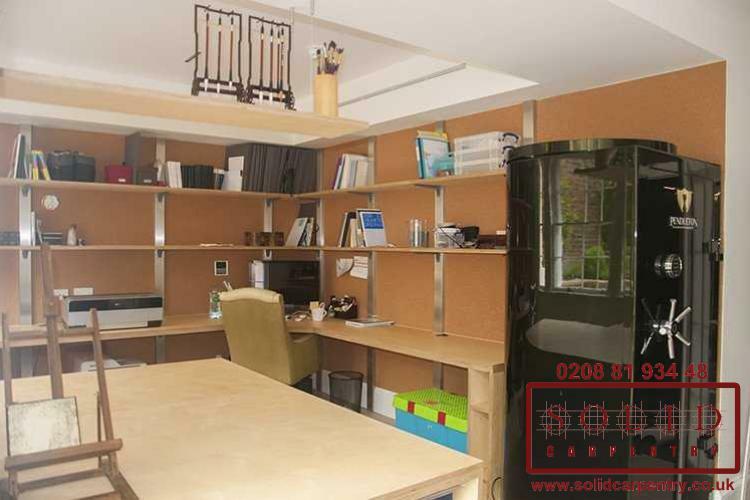 Take a look at our portfolio of built-in shelves and bespoke shelving projects and you can see why people choose Solid Carpentry for their home improvement needs. 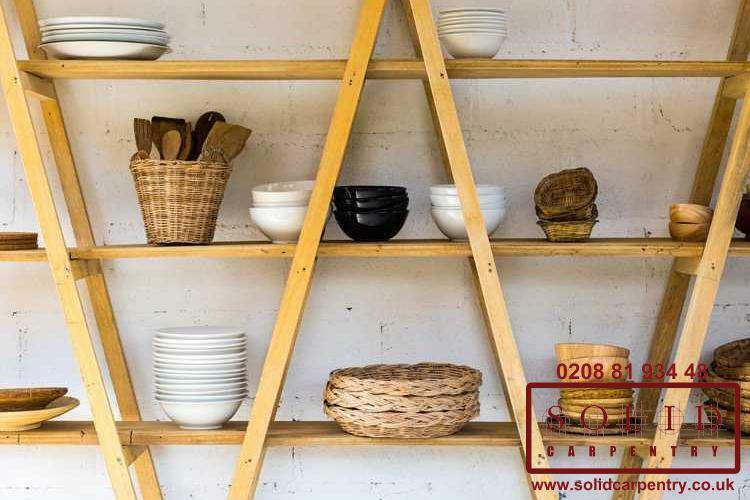 What’s clear from this collection of images is the value a set of well designed, expertly crafted shelving units can add to any space. 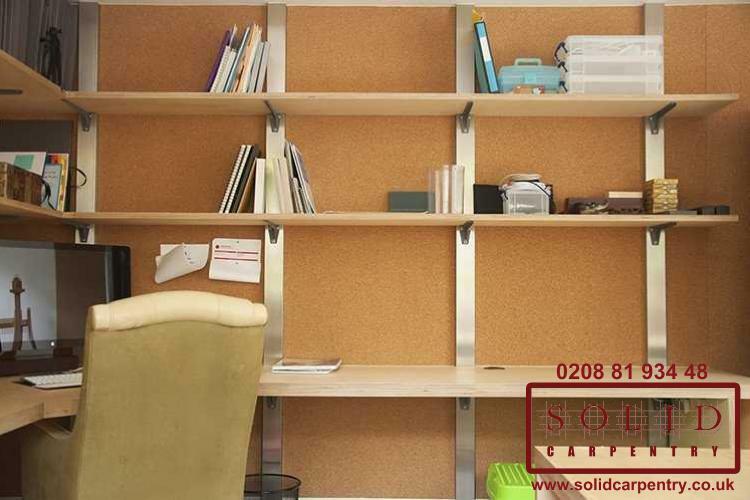 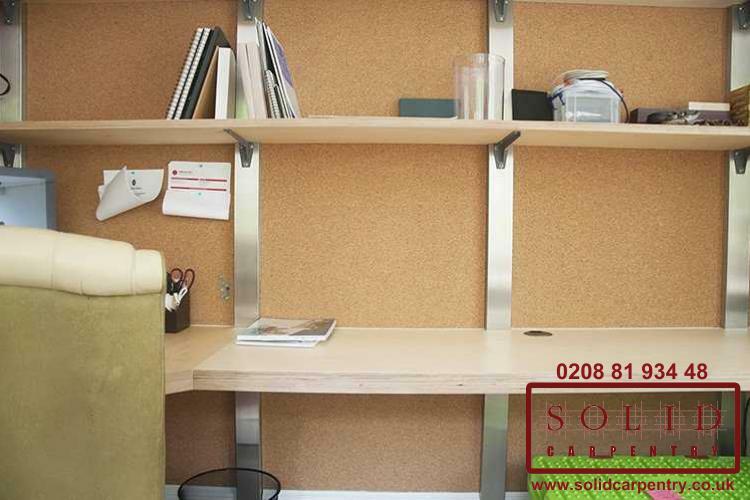 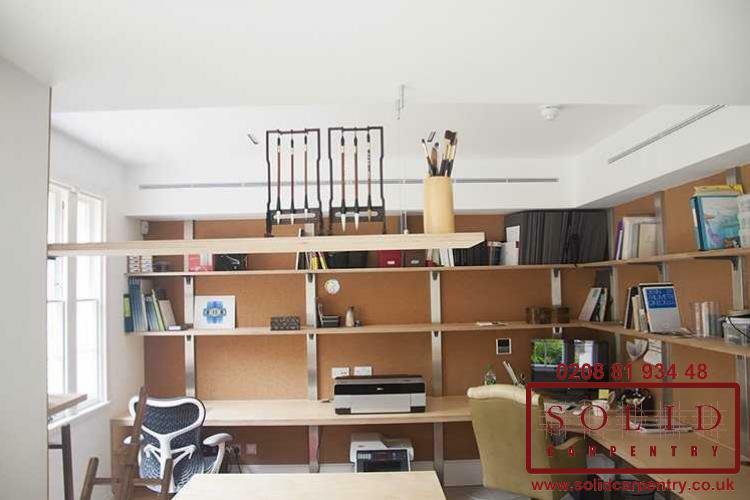 Home or office, bespoke shelving units create more room for you to store your personal belongings, files and folders, and much more, offering a stylish storage solution and improving the appearance of any room. 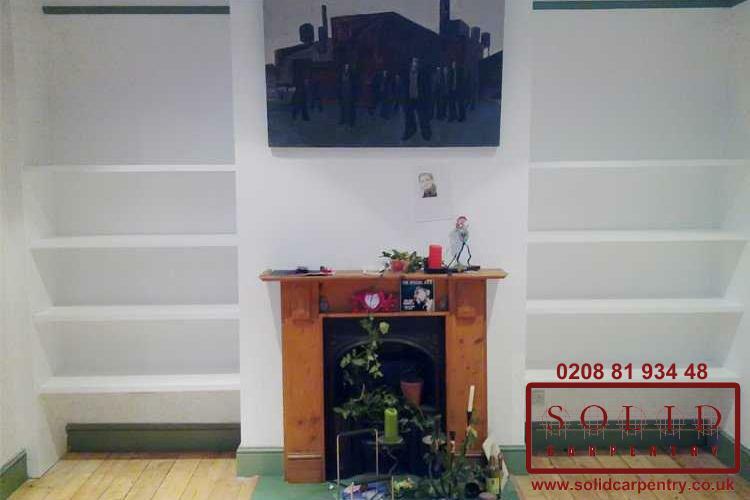 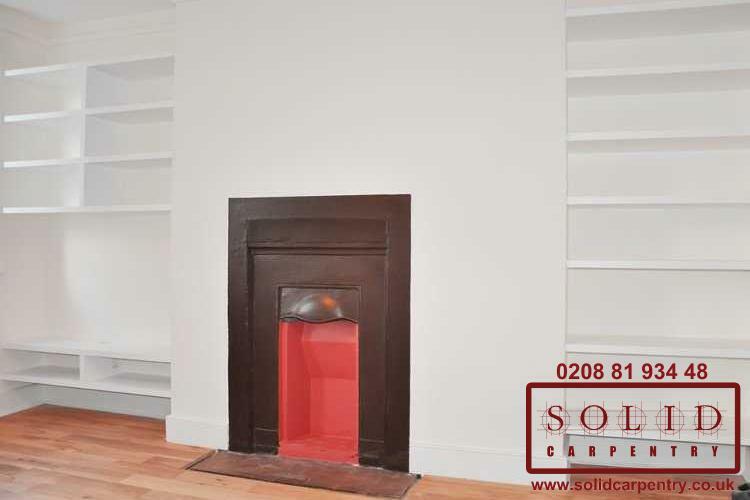 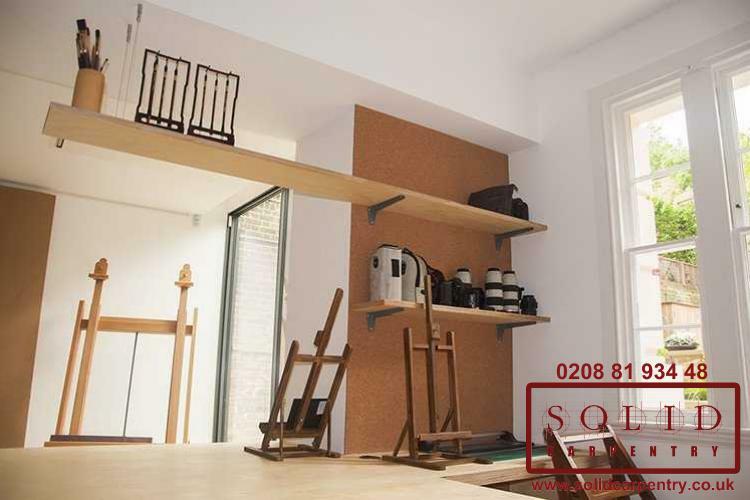 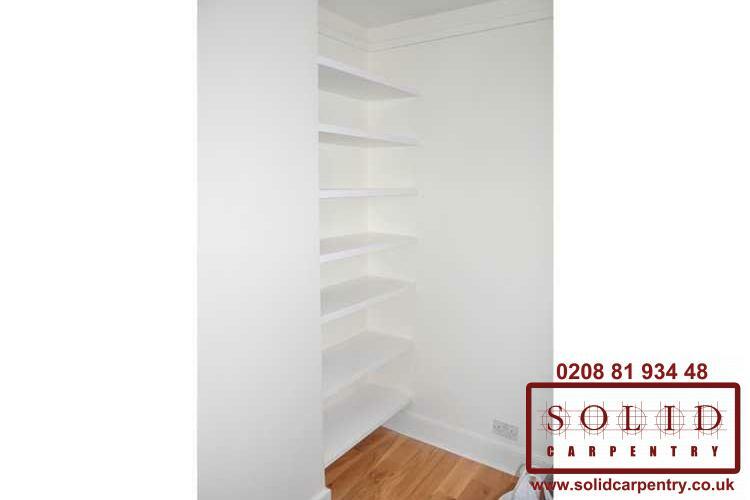 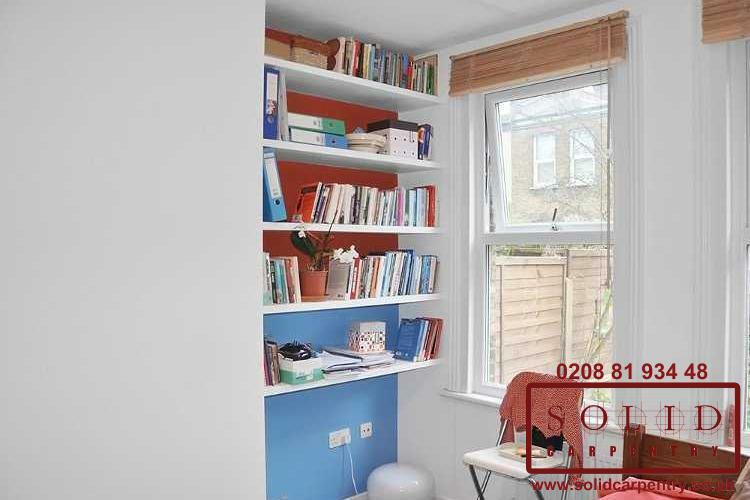 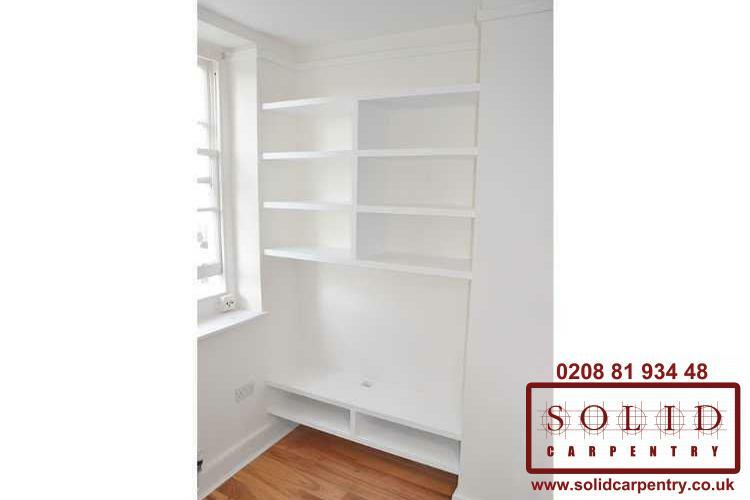 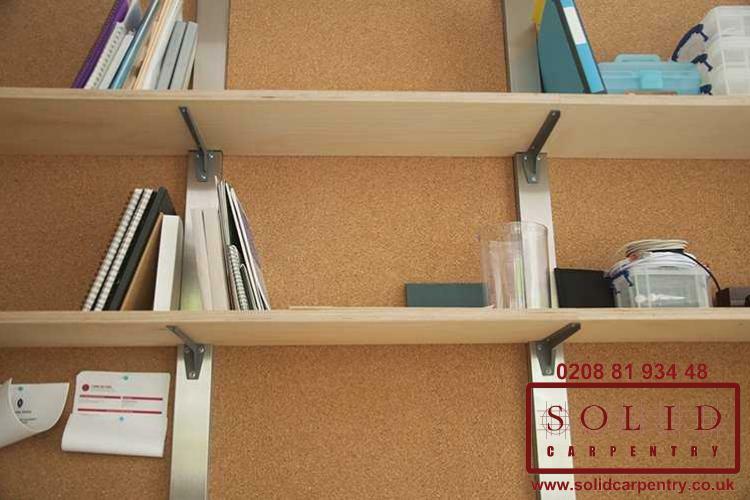 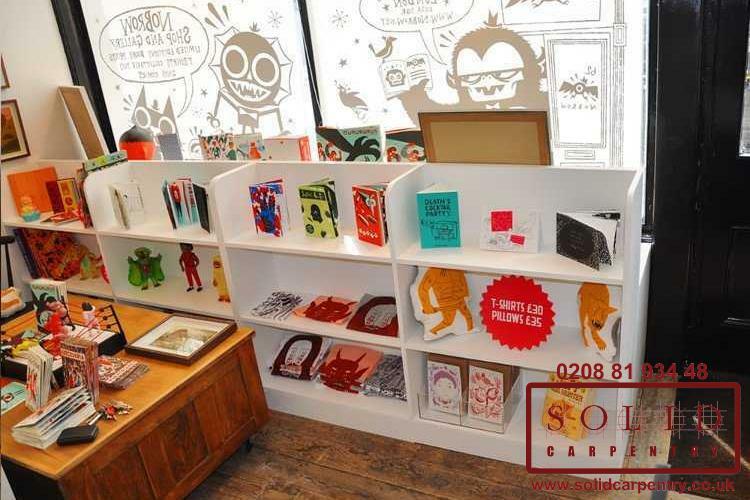 Choosing to work with a team of highly skilled carpenters and opting for a custom built-in shelves means you can maximise on the space available, even in the most awkward of layouts. 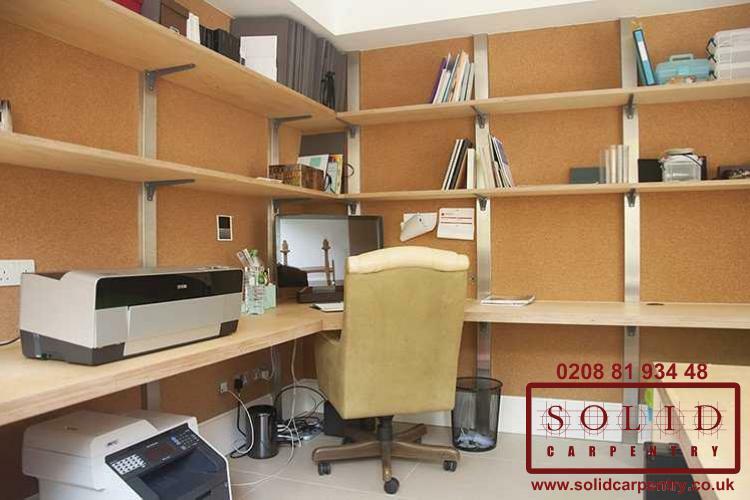 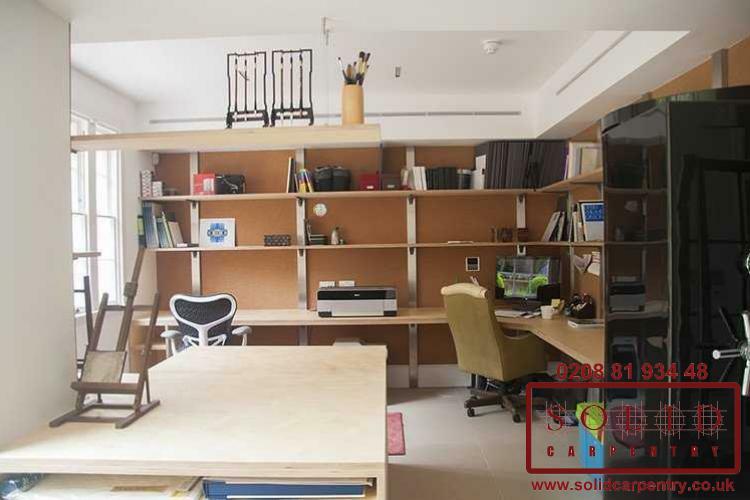 Our carpenters will work with you to design a made-to-measure solution that makes the most of a vacant wall, empty alcove, unused nook, or free recess. 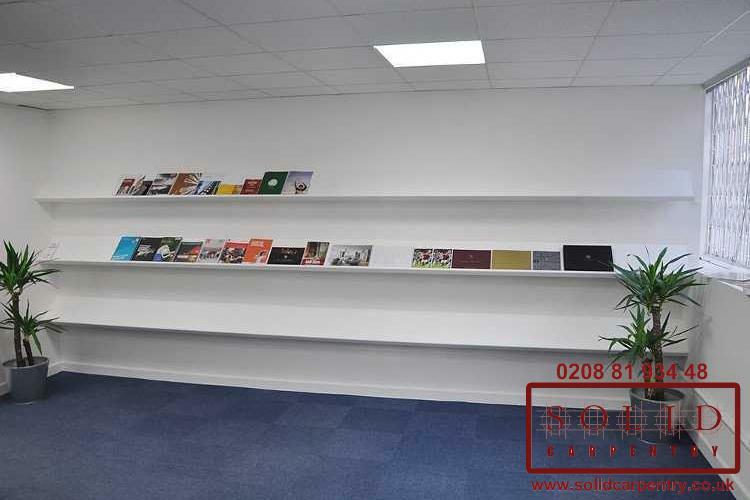 As you can see, we have the expertise and know-how to create a truly individually fitted product, giving your home or office a lift and more storage options for you. 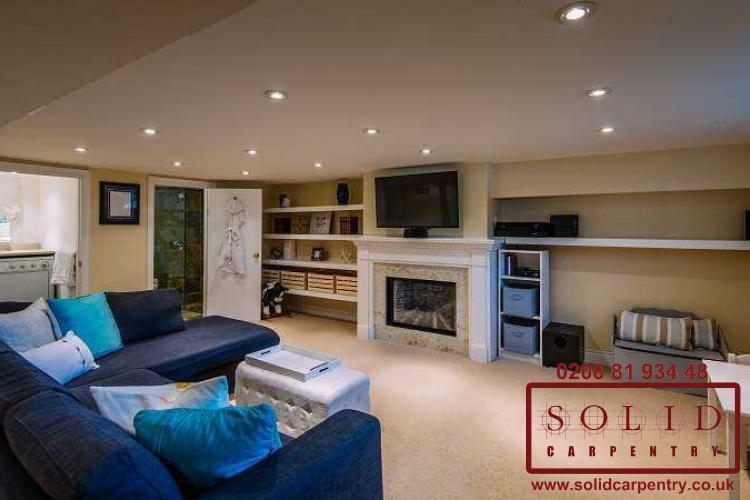 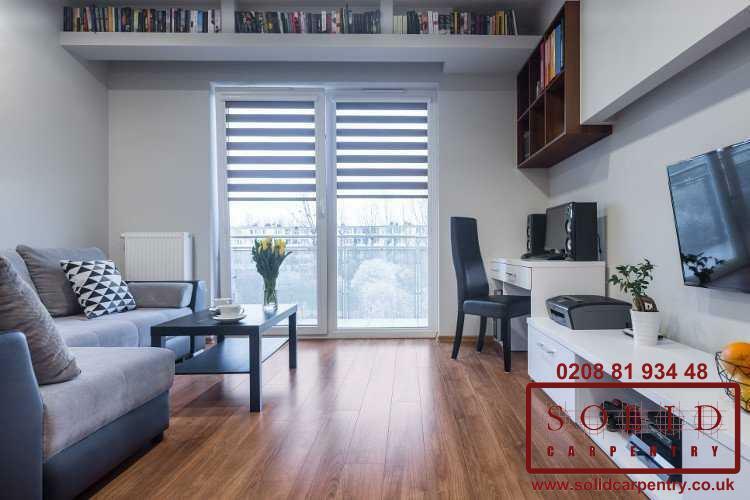 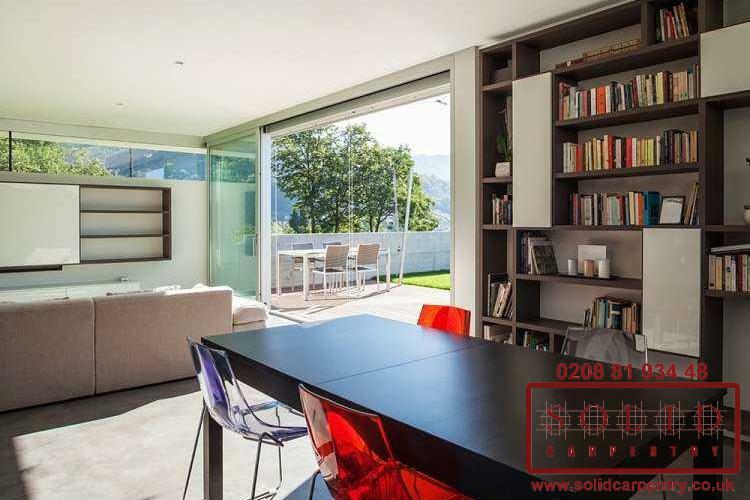 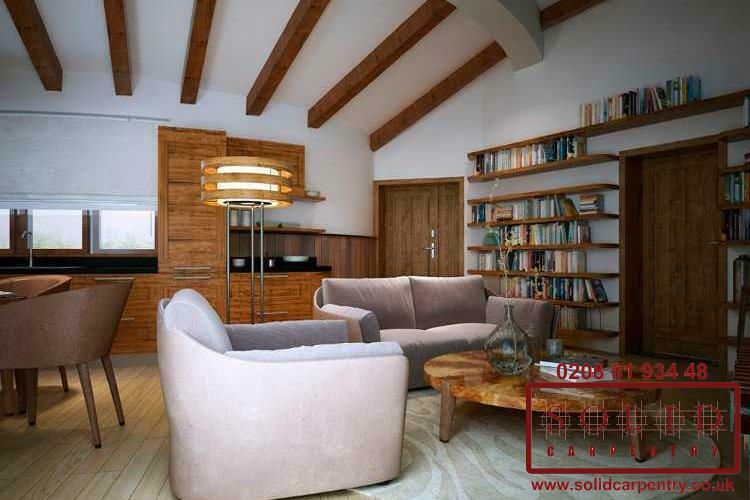 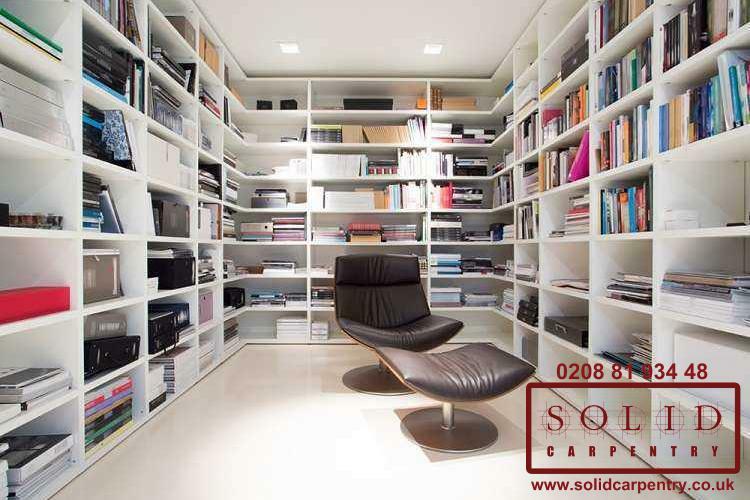 Each and every project we complete is tailored to our individual customers’ needs. 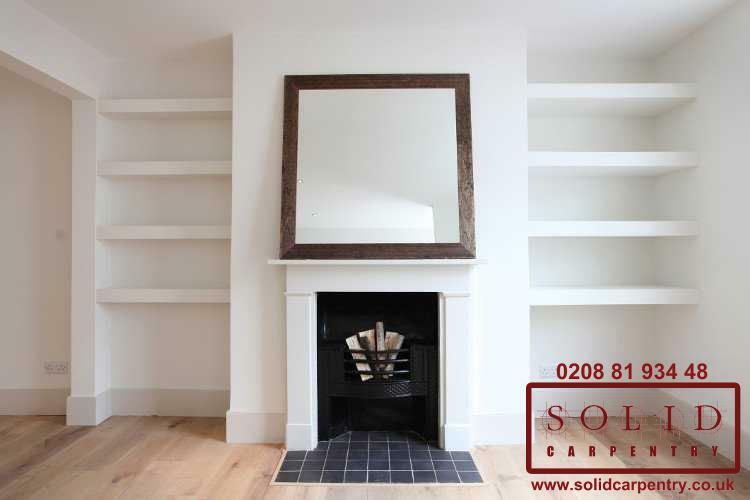 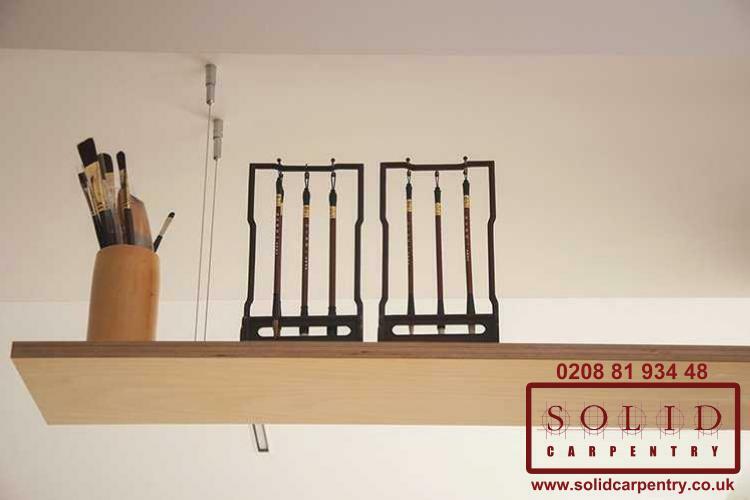 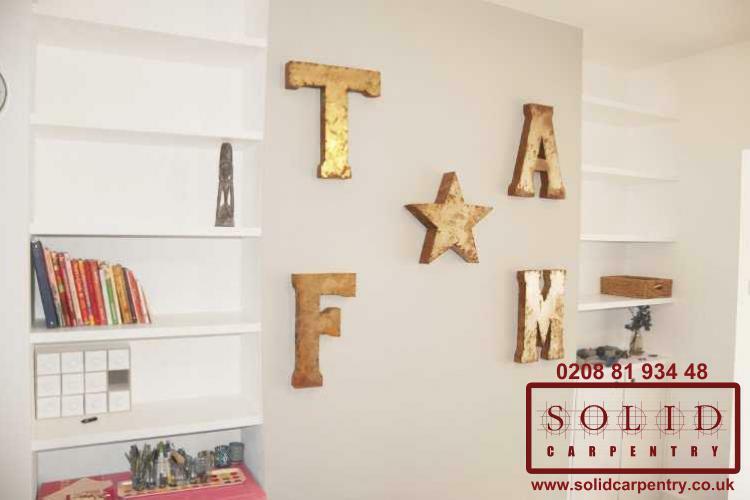 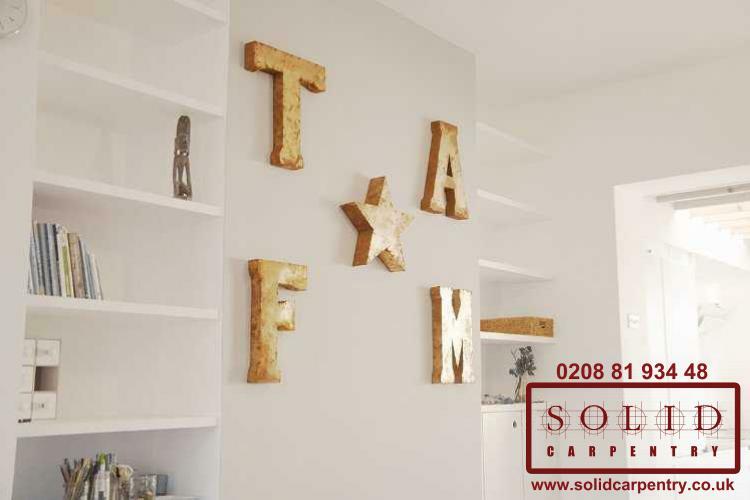 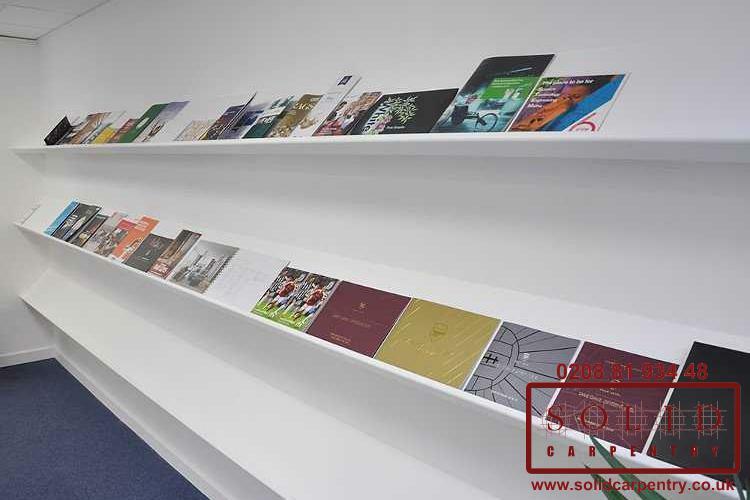 That means we craft our customers’ bespoke shelves from quality materials, having advised them on the best options for their projects. 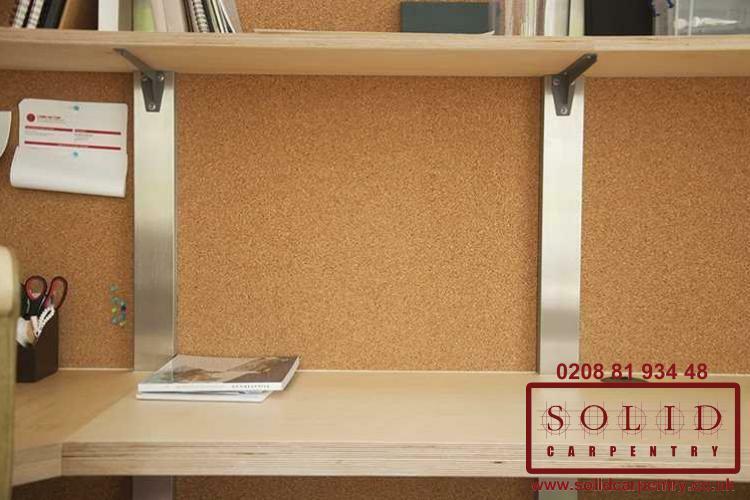 We offer different finishes to use such as stain, varnish, gloss, laminate or veneer to ensure their new unit truly complements their home or office décor. 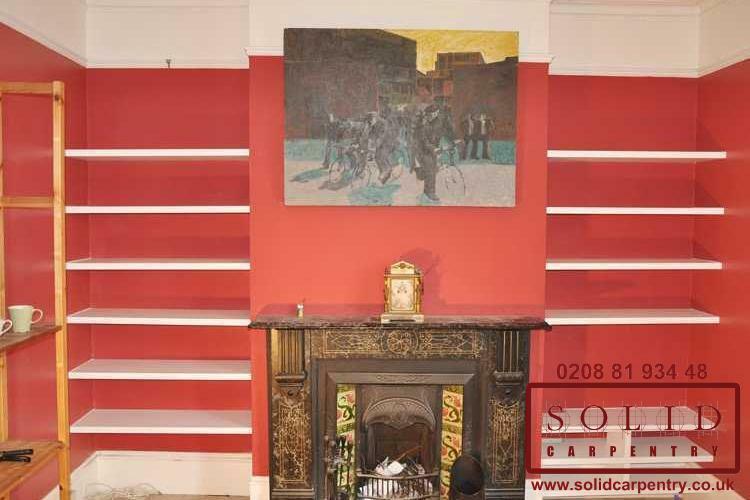 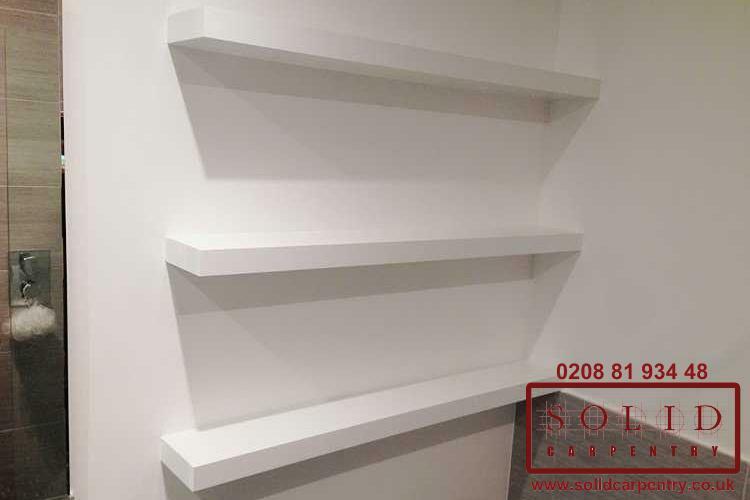 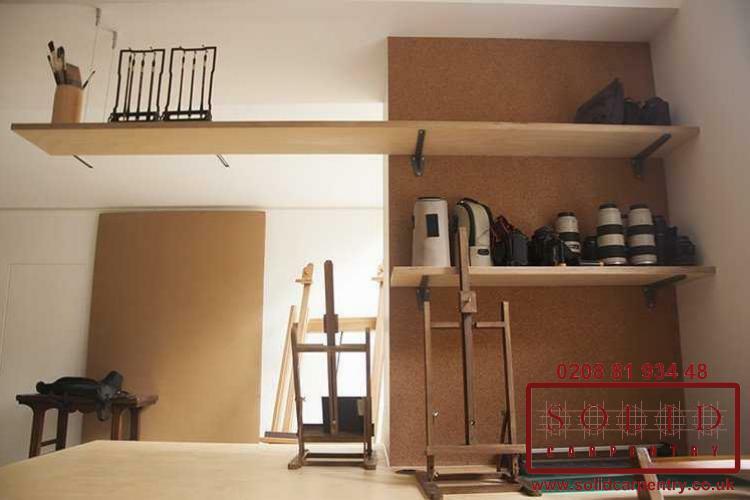 As you can see from the images of our previous work, opting for custom-built wooden shelves allows you to find a storage solution that fits perfectly within your room. 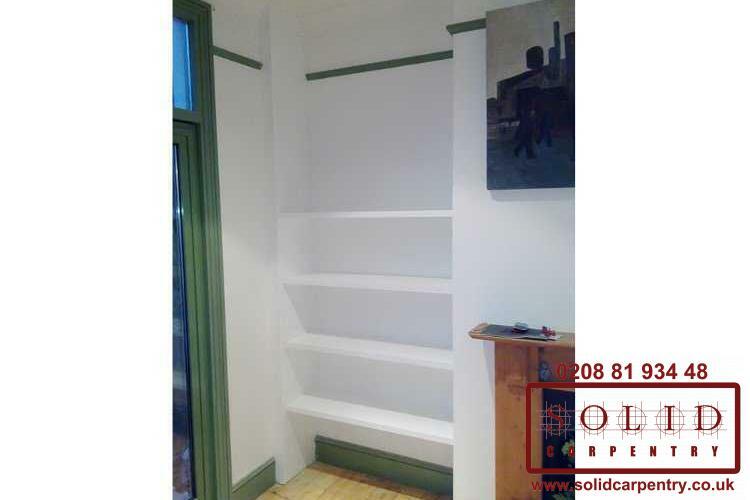 Unlike mass-produced shelving units, which can limit your design potential, built-in shelves mean you have countless possibilities. 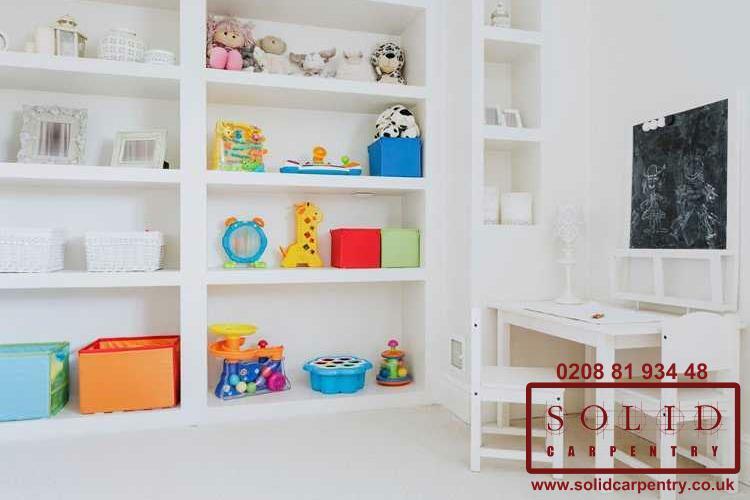 Discover how to make the most of your space, contact us today for your free no-obligation quote and find out how an expertly crafted, beautiful bespoke shelving system can transform your room.